Kentucky is getting right to work with new investments, opportunities and a skilled workforce. Kentucky’s governor promises to make business easier by removing unnecessary red tape. Kentucky’s recent passage of right to work law makes the state more competitive for business. 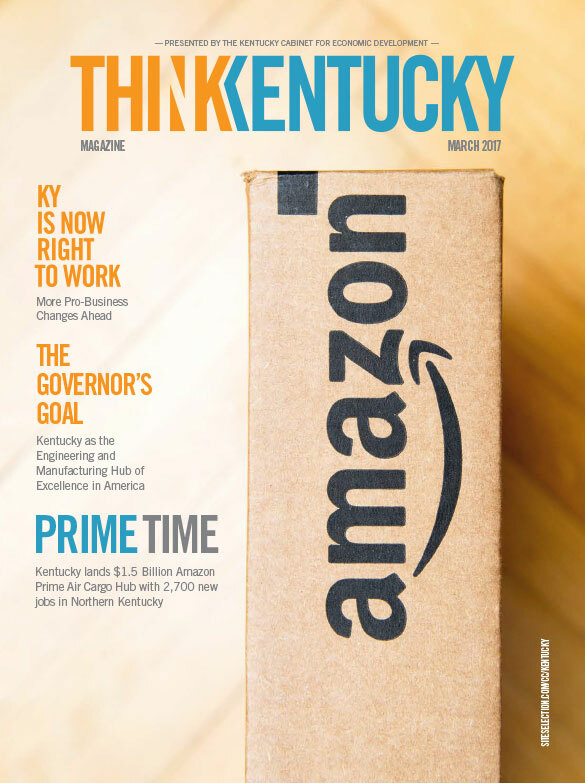 Amazon’s $1.5B investment in Northern Kentucky is the latest sign that business climate improvements are paying big dividends in the Bluegrass State. Offices, headquarters of companies, from local to global, find the homes they want in the Bluegrass State. *Having trouble? Please contact Stephany Gaspard at 770-325-3436 or stephany.gaspard@conway.com. To receive this Economic Development Guide, please fill out the form below.